When it comes to audio files, no one finds them more important than gamers. Every game out there, whether it’s a war game, a game of strategy or any other game, audio is a significant part of the game because it helps to provide the overall experience. There are many ways that audio files are so important to games. Audio files are going to enhance the overall experience for the gamer. When you are playing any game, you rely on the audio files to get you into the game – it’s one of the main reasons that you invest in speakers and you don’t play all of your games on mute. The audio files are also going to help you know when a scene changes or when you’re running out of time. Without sound, you’d be at a loss as to what’s really going on, despite the visual cues. Many of the games available on today’s market are advanced – visually and otherwise. If you’re playing a war game, then you want audio files that are actually going to sound like someone is firing at you. If you don’t have the right audio files in place, the game isn’t going to be as good as it could be. You are likely playing games on a large screen with a great graphics card. This is all part of helping you to get into the game and feeling like it’s real. Audio files are so important to gamers that Microsoft has figured out a way for gamers to go into XNA Game Studio (http://msdn.microsoft.com/en-us/library/bb203879(v=XNAGameStudio.30).aspx) and sub out audio files to help improve the realism. Audio files may sound very different from one computer to the next. And if a gamer is getting into audio customization of their game to enhance the experience, then it becomes all about showing off to other gamers. The truth of the matter is gamers hang out with other gamers. You might have gamers coming over to your house or you will be talking to them over a network as you’re playing a game. When you take the time to pay attention to the audio files, you can show off and ensure that others know that you are serious when it comes to playing your games. It’s hard to get the true sound of a grenade exploding or a jet zipping through the sky out of your basic laptop. Gamers take audio files seriously and they want the best equipment to be able to showcase the sounds. This is why companies like Alienware have spent the time and money in research and development to provide for the gamers, offering exceptional sound so that a gamer feels like they are in the center of the action. Just as there is surround sound for televisions, there are surround sound systems for gaming consoles – and it all comes back to providing an experience. Gamers like to show off and let others know they are gamers, too. If you’re a gamer, then you can tell what audio files are from what games. 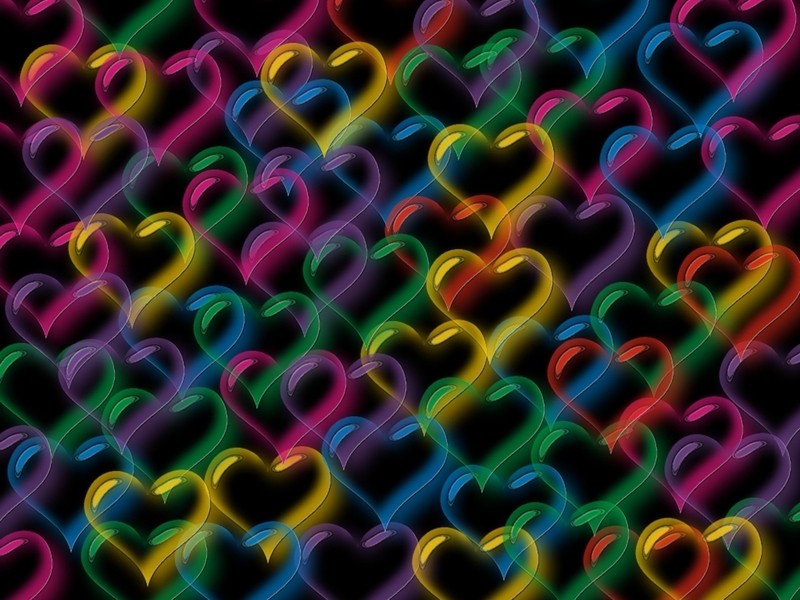 You may have even grown attached to some of the sounds and want to incorporate them into other aspects of your life. How do you do that? You can extract the files from the game or go to http://www.therecordist.com/game-audio/game-audio-samples to hear samples from some of your favorite games. Once you have the audio files, you can use them as your ring tone, create a mix CD with these incorporated in between the tracks and do various other things with them. Gamers want the full experience and they aren’t going to give an inch. If you’re a gamer, you know this to be fact. You want to dive head first into the game that you’re playing. The world of technology may not be able to deliver virtual reality systems yet, but with quality audio files and the best ways to play audio files, it can provide close to the same experience – and many gamers have invested a significant amount of money to get it. Flynn Star is a video and music blogger who uses KoyoteSoft wav to mp3 converter when creating videos and sharing them online. You can convert to mp3 using KoyoteSoft too! Tower defense has been a popular game genre for decades. In this article, we'll present a fascinating rundown on the history of the tower defense game, from Atari's Rampart, to the ever-popular Plants vs Zombies and Angry Birds. We'll also discuss the new games coming out soon for tower defense game enthusiasts. TD games are one of the earliest strategy-based games dating back to 1983. A familiar classic that pioneered the tower defense genre is Rampart by Atari. Rampart is an arcade game that merges the puzzle and shoot 'em up genres. As it's widely ported, it has versions for most modern systems. In this game, you as the player have to defend a set of castles by alternately shooting and attacking enemies, and repairing damages to the castle within a time limit. To survive and gain victory, you have to protect and maintain your territory throughout the game. Involving strategic actions of attacking and repairing, the game quickly gained popularity worldwide. As the game became a phenomenal success, it became ported into a number of gaming platforms such as Super NES, Game Boy, Gamecube, Xbox, PlayStation 2, and most recently PlayStation Network which offers multiplayer action. It was originally released in 1990, and it was the first ever popular tower defense game. Atari is considered by many gaming enthusiasts as one of the key ideas behind the creation of Final Fantasy and Fort Condor. The first wave of hit tower defense games include Star Craft, Final Fantasy, War Craft and Age of Empire. By the new millenium, TD games started to appear in user-created maps for games like Starcraft, Warcraft III and Age of Empires II. The advent of Adobe Flash has brought forth significant changes to the tower defense gaming experience. Independent game developers used Adobe Flash to enrich graphics and speed. 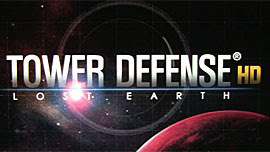 They created stand-alone TD browser games leading to the influential launch of Desktop Tower Defense in 2007. Over the last few years, there have been hundreds of new themes and gameplay variations including medieval and space settings. There have also been child-friendly game versions such as those games where players protect a picnic from ants or pop balloons. In late 2007, Protector was released, and it was ranked as one of the best TD games that offered classes and specialization upgrades. In 2008, mobile phone versions of various games were also introduced online. Some of the most outstanding games which have taken the gaming world by storm are Plants vs Zombies, Gem Craft, Protector, Immortal Defense and most recently, Angry Birds. Plants vs Zombies is a thrilling and addictive zombie-themed tower defense game. It was originally developed by PopCap Games for Mac OS X and Microsoft Windows. The gameplay involves a homeowner placing different kinds of plants and fungi to stop the zombies from eating the resident's brain. It was first released on 2009, and upon massive success, it became available on iOS, Android, Xbox, Nintendo and PlayStation. 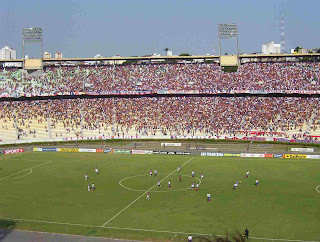 The game received much critical acclaim from players and critics. Another well-liked TD game is Angry Birds. The original version of the game was released on iOS in 2009. The game has been widely popular because of its unique combination of addictive gameplay, comical design and affordable price. It's now available on gaming consoles as well as PCs. With a staggering total of one billion downloads among all platforms, the game has been considered as the largest mobile app success today. After 2008, a lot of game consoles started to make their own versions of various tower defense games. Xbox 360 made a version of Defense Grid; PlayStation did versions on two games named Pixel Junk Monster and Savage Moon; Nintendo DS released a hand-held version of games called Lock's Quest and Ninja Town. Today, there are numerous mobile phone tower defense games available in the market. The popular zombie-themed TD game Plants vs Zombies has an upcoming sequel, Plants vs Zombies 2, which will be released in late spring of 2013. Other games that you should watch out for next year are Sentinel 4: Dark Star which is currently being developed by Origin8 for Android and iOS devices, Nightmare Guardians which is set to arrive on tablets, and Lovers in Dangerous Spacetime which is going to be introduced in both PC and Mac. Ryan Thomsen has been extensively involved in game development. He enjoys sharing his tips and insights on various games blogs. Visit www.free-games.net for more games. Android phones are the latest craze now due to their superb speed and several other features which are making them equivalent to the PCs. Whatever you can do on your PC you can do the same on your android phone as well, as for example, you can check your emails, edit photos, read e-books and even play games! Nowadays there is no need for you to sit in front of your PC in order to play your favorite games; instead you can just use your android phone to play games wherever you feel like. But, one thing has to be kept in mind; the android phone you choose should have a good configuration: a good processor, good GPU, good amount of RAM, good screen resolution and equally good graphics so that you are able to play your favorite game in HD mode. Based on these points the top android phones for gaming have been short listed here for you along with their configurations. 1) Samsung Galaxy S3: The features of the Samsung Galaxy S3 took it to the top as soon as it was launched. It has a commendable display of 4.8 inches having 720x1280 pixels. It has a 1GB RAM and offers three capacities of internal storage, 16, 32, and 64 GB. It has an Android OS made in the ice cream-sandwich mode which can be upgraded to 4.1 Jellybean. It has a Quad-core 1.4GHz processor and Mali-400MP GPU. The configuration of this android phone makes it a superb device for gaming. 2) HTC One X: HTCOne X is one of the best smartphones manufactured by HTC. It has a display of 4.7 inches and has pixel count of 720x1280. It has a 1GB Ram and 26 GB of its 32GB internal memory is available for the users. It has Android OS v 4.0 which can be upgraded to 4.1 Jellybean as its operating system. It has an NvidiaTegra 3 as its chipset, while its CPU is a quad-core 1.5 GHz. ULP GeForce GPU makes it even more preferable for gamers. 3) Sony Ericsson Xperia Ray: This phone falls short on the size of its screen but scores high on the price, which will make it available to quite a large number of people. It has a display of 3.3 inches having 480x854 pixels. It has a 512 MB RAM and 1 GB internal memory. It has a gingerbread android OS v2.3 as its operating system. A 1 GHz Scorpion CPU and an Adreno205 GPU are the other two of its features that makes it popular. 4) LG Optimus 4X HD: This one has a new type of user interface when compared to the other similar phones of LG. It has a 4.7 inches screen with 720x1280 pixels. It has a 1GB RAM aHHHHHhhhhand 16GB internal storage capacity. It has the same chipset, CPU and GPU as HTC One X, but only the operating system (Android OS v4.0, gingerbread) is different. 5) Sony Ericsson XPeria Play: As the name suggests, this android phone has been particularly created for game lovers. This one has a 4 inches display and 512 MB RAM. This phone, before its launch had created huge expectation but could not meet up to it, after its launch. This post is by a tech enthusiastic and a freelancer who loves to write on tech related subjects. Sachin being a professional writer has contributed some great posts on technology and has done the same again by giving good information on top android phones for gaming through this post. Android phone owners are always suggested to get their phones insured from reputed brands such as uk.Protectyourbubble.com so as to cover the risk factor involved while using their precious phones. Gaming applications have taken off in recent years with the advent of smartphones and Android smartphones are no exception. Games of chance, including many that try to simulate the casino experience, are some of the most popular applications out there. Slot games in particular offer an exciting but simple diversion during the user's off-time. Slotomania is one of the most popular slot machine games available to smartphone users. It blends state-of-the-art graphics with realistic sound effects to simulate an authentic casino experience, while still being able to fit in one's hand. Games included in Slotomania are simple and thus accessible. Furthermore, the developer's diligence ensures that these games are updated on a regular basis. Although Slotomania is cross-platform, installing it on an Android phone requires the phone to be running 2.2 or higher. Slot City is a slot machine game made by the developer Dragonplay and done up in the Vegas style. Players can earn chips and other bonuses through playing the game, compete with their friends and family on Facebook and move up the ranks as their experience accumulates. Slot City is designed so that players unlock previously unavailable games and more options through prolonged gameplay, a feature implemented to entice and hold their attention. However, it is very much intended to provide a social gaming experience to complement its single-player aspects. Another slot machine game created and made available to Android users so that they can have a taste of Vegas excitement in the palm of their own hand, Slot Machine Deluxe comes with many of the same features and amenities. Users can play virtual slot machines done up in a number of themes and using a range of rules, while collecting free bonuses on a regular basis and claiming fresh jackpots with each victory. Sudden changes to the rules accompanied by higher stakes help keep the game fresh and entertaining even for long time players. DoubleDown Casino offers its players one million chips to start out plus daily bonuses to help keep their interest hooked. 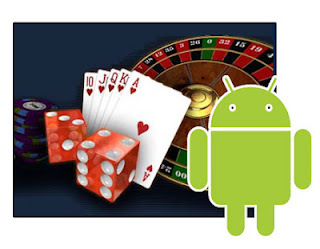 In contrast to many other slot machine games available on Android smartphones, DoubleDown Casino make all of its games and features available from the start so that players do not need to face the hassle of unlocking them one by one. Instead, its developer relies on a combination of updates containing new games and features plus bonus rounds featuring higher stakes than normal to keep matters fresh and build excitement during gameplay. Slots by Zynga by the Eponymous developer adds elements made possible by the medium to help spice up the traditional slot game machine experience. Each spin is set in the context of a broader game and as the player progresses, more features and possibilities open up. These include not only the traditional bonus rounds accompanied by higher stakes, but also upgrades to unlocked game machines plus regular bonuses to keep players coming back for more. Guest post contributed by Erik Sharif on behalf of Jackpot Party Casino. Erik is a freelance writer with and android app expert. His articles mainly appear on gaming blogs. Facebook’s great for keeping a close eye on everyone’s photos, check-ins and opinions, but sometimes it’s nice to take a break from everyday life and ignite the imagination a little. With Jackpotjoy’s freeonline slots games, you can do just that, setting off on an incredible journey packed full of rich colours and animation, an array of exciting noises and a bunch of well-known characters. 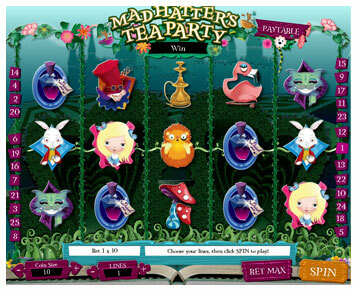 One such game is Mad Hatter’s Tea Party Slots, and game’s magic take place across five entertaining reels that you’ll need to spin. As the riveting motion comes to an end, you’ll see what symbols you’ve landed across what pay lines. Depending on what you’ve got, you’ll receive more coins to enjoy another spin or even the chance to have fun in one of four fantastic bonus rounds. Whether it’s hanging out with the Queen of Hearts for a humorous game of croquet or having a cup of tea with the Mad Hatter, you’ll be sure to use the game’s feature that lets you invite your friends to the party. Before long, you might even be helping the Queen of Hearts’ gardeners paint her roses red, all the while in a tournament to see who can get the most coins out of everyone. Throughout your time on Mad Hatter’s Tea Party, you’ll from time to time have the opportunity of collecting a badge. Badges are awarded at key milestones along your enjoyable journey through the enchanted, fairytale world. First Step is achieved when you play a game for the first time, Buddy and Crowd Pleaser badges come your way when you invite and enjoy the game alongside friends and Gifter becomes yours when you accept a gift off somebody ten times. As players collect coins, they can begin sharing them with friends at any time. The next time you write a Facebook status update, you could be talking about faraway lands full of mad hatters, queens and gardeners, and your friends won’t think you’ve gone mad because they’ve probably been enjoying the excitement the whole time with you. Don’t delay the party. Click hereto Play on Facebook! Ninja games have something about them that makes them just a little better than their average counterparts. It’s hard to put a finger on exactly what it is, because maybe it’s a number of things all working together to make those games awesome. 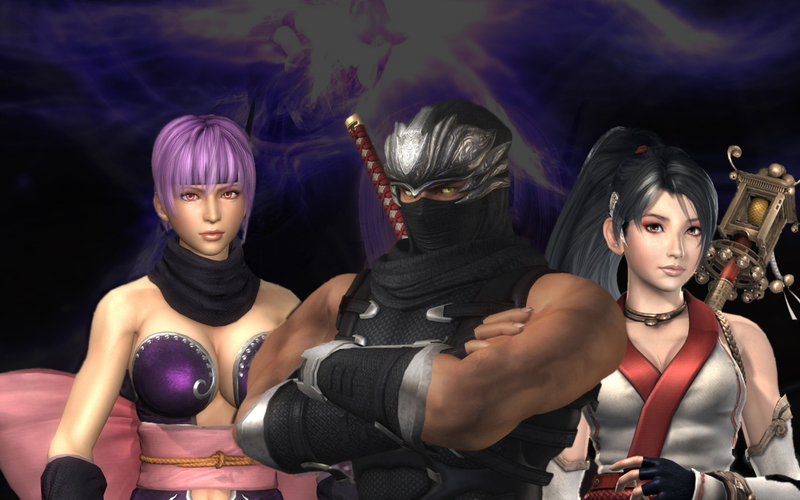 There certainly are a lot of factors that contribute to the success and enjoyment of a ninja game, and it’s the combination of all of these that makes these games truly special. First of all, the very character of the ninja is enchanting and mysterious. They’re some of the most secretive and mysterious warriors in history, and there’s a lot of potential for awesome game storylines and adventures.A good ninja game should be feature a strong and interesting main character, ideally with some sort of back story that the players will find appealing. The special weapons that ninjas have in their arsenal are a big feature that most gamers look for in ninja games. If they’re going to play a ninja, they’re going to expect at least ninja stars, but hopefully other weapons as well. A good ninja game will have all the best weapons available, if not immediately than at least for eventual upgrading. Ninjas are all about stealth and strategy, rather than mere brute force and powerful weaponry.Because of this, online ninja games should feature at least some strategic challenges that will make the player think. 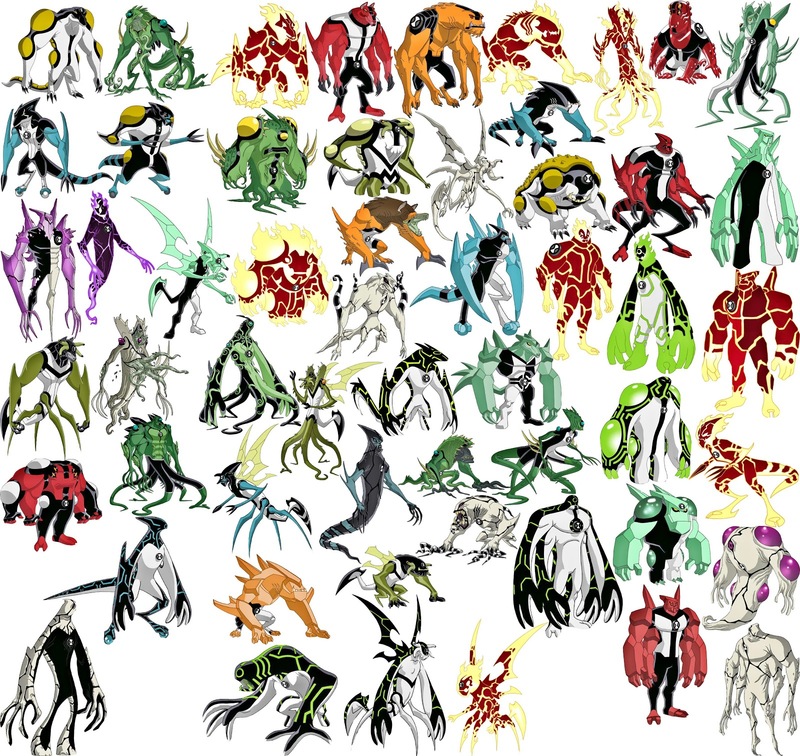 With ninja games, such as the ones you can access on NinjaRuler, there is a lot of potential for the game makers to create interesting and attention-grabbing storylines. There are many stories that a ninja game could follow that would keep players addicted, coming back again and again for more game time. A game that has one of these storylines is bound to be successful. Good art and graphics are extremely important to making a game enjoyable. While a game can be good with very bare graphics, it enhances the gaming experience tremendously if the creators put a bit of effort into the aesthetics of their game. 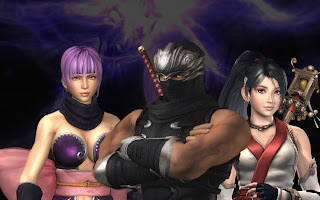 There are many things in online ninja games that work together to make these games some of the best available online.A game that combines all of the above listed elements would probably make for the perfect game ever to be created. Try out some of the most popular games to see how they compare, and whether they come close to the ideal of a good ninja game. If you’ve been looking at some online soccer games but you aren’t sure if you want to play them, here are some tips for you. Online soccer games are some of the best games out there, but you have to make sure that you choose the best ones. You also want to be sure that you play them most effectively, and that you eventually start getting good at the games you like. Find a Game. 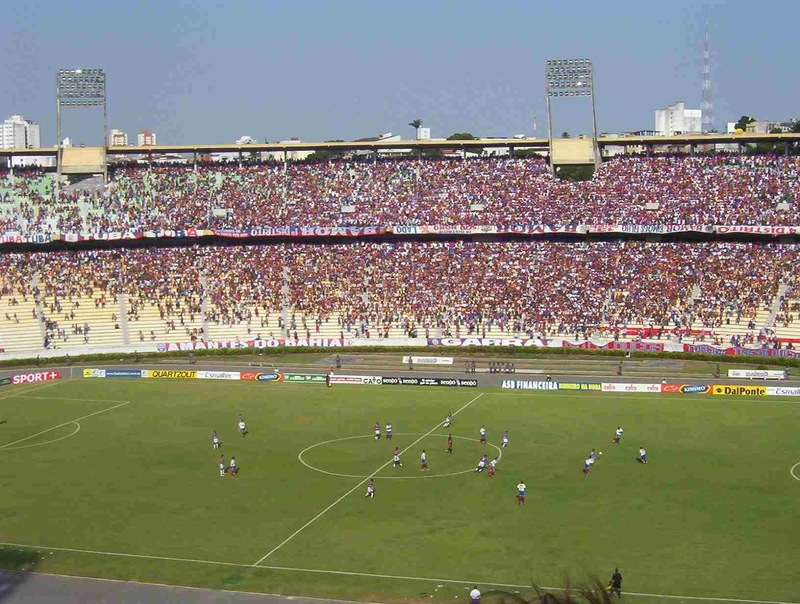 Finding soccer games is easy. Finding really good soccer games for kids is a bit more challenging. Most online soccer games are good to some extent, but to find the ones that are actually worth playing regularly or for long periods of time you have to look long and hard. They’re out there, but you have to try out lots of options before you find something that works. Learn the Rules.It can help you—first in determining if a game is good, and then in figuring out how to play itif you take time to read the rules. Most games come with tutorials, and if you simply look them over before you start, it can actually save you lots of time. You can get a head for what you’re doing and be more prepared for when the game starts. A knowledge of the actual sport of soccer certainly helps, but you usually need to know more than that if you want to master the game. Test it Out. Try out the game. The only way to know if a game is good is to play it. See how you enjoy it, whether or not you feel it’s a game you want to waste time on or not. If you like it, bookmark it for later use so you can come back and play it whenever the urge strikes. Practice, Practice, Practice.Play the game (or games) that you like until you get good at them. That’s really the only way to improve. Practice until you start getting scores that you like, and then keep practicing. It’s not a competition of course, but it’s good to challenge yourself to do better, and it’s certainly encouraging to accomplish your goals when you try. Get High Scores. You’ll start getting high scores. It’s not hard to beat out your friends and other competitors if you get enough practice, and if you play for long enough, you could even get into world rankings. Online soccer games are widely played, and if you get into the top world scores, that’s really an achievement you can be proud of. Kids get amused easily but they can also get bored fast. If you’re a busy parent, then you have to come up with new ways of keeping your little one entertained. Stimulate their imagination, play with them, read to them and do fun things together, because they really do grow up so fast and you’ll find yourself wondering where all those years have gone. Kids are capable of learning things quickly and they are like little sponges that soak up information, so you have to be careful to what you expose them to. The internet can be a dangerous thing if you’re not taking precautionary measures and if you don’t continuously monitor their traffic. Needless to say, you must have some sort of Internet parental control software that will make sure nothing slips by your watchful eye. When you make sure their PC is internet friendly, go online with them and teach them how to look up things they are interested in, how to connect with their friends, play online games and beware of scams. There are plenty of games out there that will entertain them but also develop their cognitive skills. Let’s look at some key cognitive skills and see how they can be improved through online gaming. Some online time management games are perfect for teaching young kids how to multi-task. Diner Dash or something age appropriate that operates along the same lines will help them remember a piece of information while they’re performing an action. Forming new concepts, the ability of reasoning is part of what makes us human. You don’t have to try hard to find some really helpful online games that will help your kid make connections easier and draw conclusions from what they see and what they’re being told. Thinking in images, analyzing them is yet another important piece of the puzzle that defines us as human beings. 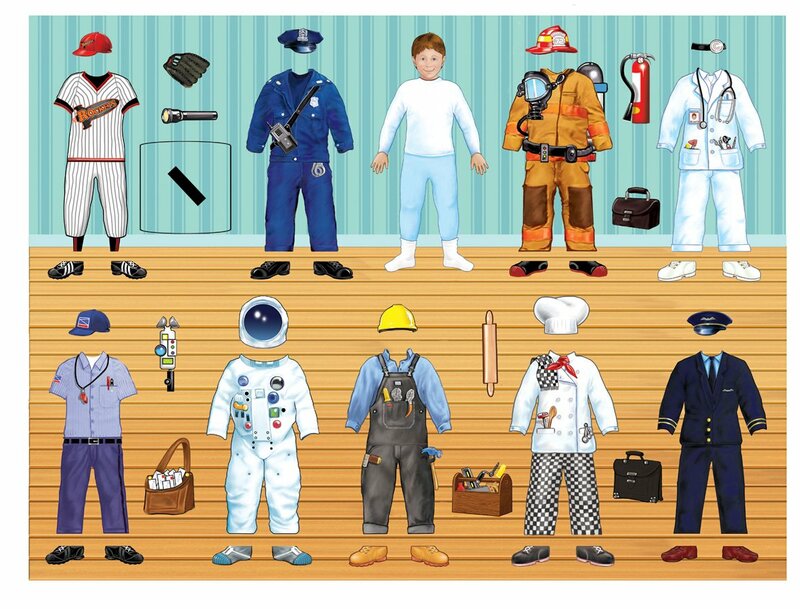 Something as simple as a makeover game will help kids develop this skill by first thinking of something in their heads, then recreating the image by themselves – play dress up games with them or let them do it online, it’s only going to help them. Short-term memory or working memory can be improved through games such as Find the Pair. You must retain information for a short period of time, while carrying on another action and having more information being thrown your way. 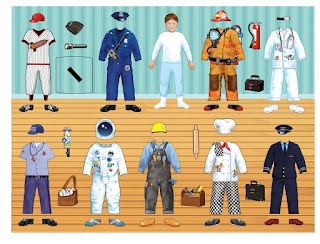 This skill can be trained and can help your child in school and in real life. Sonic the Hedgehog was created in the 90’s to replace Sega’s fading mascot, Alex Kidd. Sonic wasn’t the only character in the running, but he won out the others with this speedy legs and mischievous ways. Some of his competitors were Mighty the Armadillo and Ristar, neither of whom have really been heard of. Just goes to show that Sonic was the best choice. His bright cobalt blue coloring was intended to match Sega’s logo color. Over the years Sonic’s character has essentially stayed the same, but his looks have been adapted by the various artists. He’s started out short and childlike, with a round body and stubby quills. A few years later he was taller, with longer legs and a slimmer body, with longer spikes and green eyes. Nearly every year there has been a new release of a Sonic the Hedgehog game, some years there have been more than one game released. In 1991 the first Sonic game was released by Sega for their Genesis game system. The game also introduced Dr. Eggman, the villain in the story. Sonic 2 came next and introduced Super Sonic and his sidekick, Spin Dash. Tails also made his debut in this game. Only a year later Sonic CD was released. In this game Sonic has a girlfriend, Amy Rose, and gamers also met Metal Sonic, who becomes significant as Sonic’s counterpart. Game 3 the plot thickens and Sonic has to travel through time and space as he and Tails fight DrRobotonik and save the world. In the fourth game Dr. Robotnik tricks Knuckles and Echidna to fight against Sonic. Sonic has to fight them before he can help them see the error of their ways. The Sonic games that followed were minor games, and the Sonic rage quieted down for a bit. In 1998 Sonic Adventure was released, and was as big as any of the other Sonic games. Now into the 2000’s there have been more “hit” Sonic the Hedgehog games. In the 2000’s Sonic also became playable on Nintendo handheld devices, and subsequent handheld devices. Of course, Sonic is also playable on the internet. You can find a host of online Sonic the Hedgehog games that will allow you to play Sonic on many portable electronic devices. Many of the websites are free, and offer a great way to check out the new games and storylines of the much loved hedgehog. The first thing you are going to do is a web search to find websites that offer the game. Just type something like “play PacMan online” into your web browser and hit “search.” Within seconds you will have tons of websites to choose from. One thing you want to check is that your computer or personal electronic device meets the system requirements needed to play the game. Sometime you may have to download and install a plug-in. Or you can find a website that offers a version of the game that is compatible with your system. One you have the game set up you will need to decide what level you want to play at. The only determining factor here is your skill. 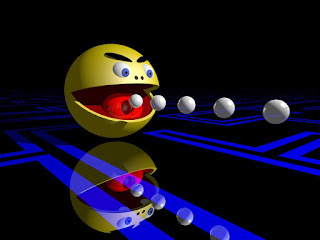 If this is your first time to play PacMan online, or a slightly different version like Pac Xon, you probably want to start easy, but if you are familiar and experienced with the game you can start at a level suited to your skill. To play the game you use your arrow keys to move the yellow PacMan around the maze eating white dots. The goal of the game is to eat up all the white dots, and steer clear of the ghosts that appear in the maze. Bear in mind that, the higher the level, the faster the ghosts appear. If the ghost eats PacMan then he loses a life. The game ends when you run out of lives. You can earn extra points by gobbling the fruit that randomly appears on the screen. There are also power pills that empower PacMan to gobble up the ghosts before they can get him. If PacMan eats all the dots and doesn’t lose all his lives then you progress to the next level of the game. Once you get the hang of it, the game can make for hours of fun. Play against your friends and try and beat each other’s best scores. Enjoy this classic game anytime and anywhere, thanks to the internet and portable electronic devices. In this day and age, sometimes we find it difficult to spend time with friends. Facebook has reconnected us with old friends and has provided new friends for us – we know what they like, how they look like, what they eat, what music they listen to and what goes on in their life, but when it comes to actually spending time with them and talking, Facebook and other social media networks fail to provide us with any help. It is up to us to connect and reconnect with friends. When we don’t have time to actually meet with some of our friends, how about we meet them online and play some friendly games? When you plan to spend your evening online playing games with friends, you want to get as comfortable as possible. Find your perfect spot, stretch your legs and allow your muscles to relax. Have a drink and some nice music in the background, this will add to the whole experience making it even more pleasurable. When you’re playing with a friend, you want to pick something that you’re both good at and are going to enjoy. Since recently, Words with Friends has been gaining a lot of popularity, you can try that or online chess. Did you know that you can even play online Solitaire with a friend? We found the Fexi website, which offers all the possible Solitaire variants you can think of! Although the name suggests only one player can play the game, there are plenty of options where you can play against a friend. The possibilities are really endless. If you get to hear the friend you’re playing against, the whole experience suddenly transforms into something much more intimate and fun. Get to comment on your player’s moves, make witty remarks or hear them sigh when they’ve lost a game. It’s great to be able to get close and feel the vibe of the person you’re playing against while you’re miles away. If you’ve gotten tired of playing online games in an empty room, tell your friend about this and invite some over. Suggest that they bring their laptops and create a small network of online gaming right there inside your home. Shooters are particularly great for this type of occasion. Take a glance over at their display to see where they’re hiding or take a break and talk about life and other things while you’re computers are cooling down. Technology today has a profound impact on our lives. This would include the innovation of the smartphone which is essentially a phone merged with a computer. Before the smartphone, people mainly enjoyed gaming online at online casino websites. However, with advancements in technology, gaming can now also be enjoyed on one’s phone. In order to take advantage of mobile gaming, you must have a way in which to play the game on your phone; normally this is one or more of the apps offered for your specific smartphone operating system. Different gaming apps are offered from the specific casino with which you want to play. 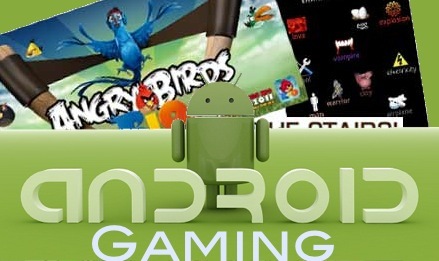 Depending upon the operating system of your smartphone, you may have more gaming apps available to you than others. 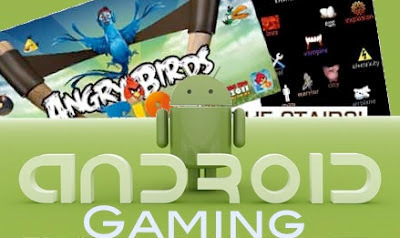 Typically, Android and iPhone have the most gaming apps. Some online casinos offer a standard gaming app that allows the users to interface with certain casinos offerings. However, usually the sites will require a separate app for different games. 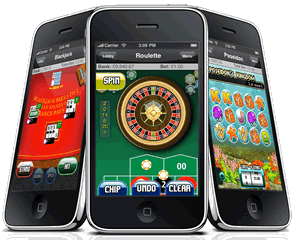 A variety of gaming apps are available, but they do vary depending on how far the online casino site has delved into mobile gaming. However, one can most always expect the more popular games to be available in a gaming app. For instance, poker and blackjack can almost always be found in a mobile gaming app. Some of these gaming apps may also include variations of these games which increases the selection and choice for the player. Other gaming apps that can usually be found are for roulette and slot machines. Some sites may only offer one or two slot machines. As far as roulette goes, European roulette is often the most prevalent form of this game found in a gaming app. Some sites, like Ladbrokes.com, will also offer American roulette. However, since this technology is rather new, the availability of variations can be quite limited. It is every geeks dream to have Xbox 360 gaming console with them. It is having thousands of exciting games with amazing graphical aspects that which force us to get addicted towards these games. 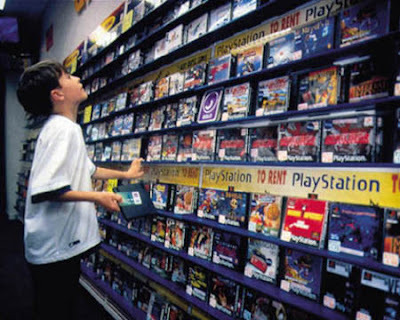 It is really hard to pick only few games among thousands of games that are existing in the market. But, in this article I'm listing out some of my favorite games that you must not miss playing. Generally Xbox 360 games are bit costly and you can't just buy every game that is existing, so we have to make sure that we buy some of the best games in the current market, else we might end up with bankrupt. I think you might be aware of Angry Birds Game, which has created history in Mobile gaming world and you can also see many exciting concepts that have taken place, and my article Games Similar to Angry Birds might help you out. The reason for releasing the games that are similar to Angry Birds is because of the fame that this game received. So, most of the developers will be obviously focusing on the enhanced concepts of this game or have to tried to add features that Angry Birds game is missing. In this post we are going to check out some of the Best Xbox 360 games that you shouldn't miss playing. I have nothing to give any introduction about this game. The Amazing Spider man is one of the most buzzing names across the globe. It is one of the best games that you have to play. The Major concept of this game is you can free-roam in the New York city, swing across the streets, battling with villains and many exciting action packed game. 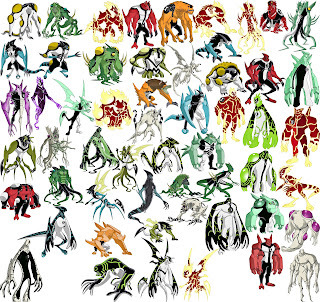 You need to master an assortment in order to defeat your enemies who'll be doing web-based attacks. It is one of the Top Rated games of all time. You need to practice the art of your assasins with the weapons that are created by the Leonardo da vinci. You can roam freely and in order to complete the mission you need to do whatever possible and it is all-new open world. The story of revenge and emotions is one of the key for the game and one must not miss playing it. Though it is bit old game aging around 2 years old, but still it holds the place in one of the greatest games of all time. Most of the people never expected the Batman game to be such an awful experience. The concept, the graphics, the weapons, the story, everything rocked the band. The game includes some of the biggest names like Paul Dini, Arleen Sorkin, etc., which made it one of the must play Xbox 360 games. Some of the best things like experience of gliding over the rooftopps, pouncing onto criminalls from on high nails and crimefighter superfighter. Merging up the best features of the predecessor, the developers have released the Halo Reach with some of the best enhancemets possible whtat which will keep you stay on the console. Its a fictional game, which sold over millions of copied worldwide. These are some of the best games that you shouldn't miss playing and these games will make you addicted for their concepts, graphics and many more. After watching the game of Poker for the first time in the movie Casino Royale I gained interest in it. Read a lot about it on the internet, talked to my boss who had worked with an online gambling company. I always wanted to play this game and I got a chance when I found a great site to play . Poker is a big business today as there are many websites offering tips and advices to those who want to play the game. Also it is convenient as poker is now available online and one does not need to go to a casino. I was looking for a website that should teach you first and then you can play at the same place. I used to find many websites where there were many rooms to play and these rooms were rated on a scale of 1 to 10 and none of the rooms were rated less than 8. However the website that teaches you first and then wants to earn money is good enough. There are many things that you will have to keep in mind when you start playing. While you start just keep in mind that you are playing forfun and in order to gain experience. At first play for lower limits and even if you know how to play the game do not just sit at a table and expect yourself to win. Playing lower limit games can gain you experience and let you build your skills. You can even search online common mistakes made by the players and learn from them. The games where there is no limit are much trickier as compared to the games where there is a limit to the pot. You will even need to understand your opponents hand and what the opponent has. A player who is not experienced will place bets as strong as their hand and if you think your opponent does not have a strong hand in that situation make sure your call is not huge as you would want your opponent to call. Paying attention to the game is the most important thing to concentrate on. It is not only a mistake made by beginners but also a common mistake made by experienced players. Even if an experienced player wins the game without paying attention they might make a mistake while value move. Multitasking is something that one should not entertain while playing this game. One might win even if they are not paying attention but they may not win what they could have, if they would have paid attention. Patience is something that can help you learn and then play to win. The first thing one should do is read a lot about the game and then… Go for it. 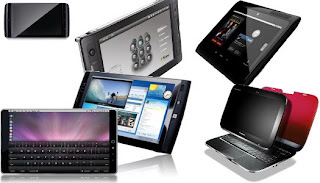 Why Mobile PCs are for work while smartphones are used for play? Given the choice of a mobile PC or a smartphone which would you choose and why? Perhaps like many other people you would have both, one for work and the other forplay. Or is there already another alternative? A mobile PC has the same functionality and software as a desktop PC but runs on batteries and is fully portable. To truly deliver mobility, their most important function is allowing the user to connect to the Internet wirelessly, via mobile broadband. Laptops, notebooks and netbooks all have a similar physical specification in that theyare hinged and when opened up display a screen and separate keyboard. Touch screen versions are available, but are less common. Today's laptop most commonly has a screen size of approximately 15" and will weigh up to around 10 lbs. Larger screen sizes are available but can become cumbersome to transport although they are popular with the gaming fraternity. Notebooks are smaller and lighter than laptops with screen sizes ranging from 11" through to 15". They will have the much of the same functionality as their larger counterparts but are likely to be more expensive for a similar specification, reflecting the increased production and component costs. Netbooks first went on sale in 2008, intended specifically designed for use on the Internet rather than for processing power. Most have screens ranging in size from 10" through to 12" with some models weighing as little as 2 lbs. In terms of processor speed and hard disk capacity, they are of a fairly low specification, but with the advent of cloud computing they are now really coming into their own. Last but by no means least are tablet PCs. Tablets do not have a lid and feature touch screen operation, using either fingers or a stylus pen. They come in a wide variety of sizes and specification levels. To all intents and purposes some of the high-specification smartphones now availableare akin to mini PCs in their own right. By definition they are extremely portable, reflecting their heritage as a hybrid between ordinary cell phones and PDAs. Smartphones use different operating systems to mobile PCs, but with the wide range of 'apps' (software applications) available, they are almost equal in sophistication and functionality. Since some of the major smartphone operating systems (OS) are designed by mainstream players such as Microsoft and Apple, a significant degree of compatibility and interoperability with desktop OS is also present. Unlike mobile PCs, smartphones allow the user to make phone calls, send text messages (SMS) and even multimedia messages (MMS). They invariably feature a high quality digital camera in addition to Bluetooth, GPS and 3G mobile broadband. It is clear that both types of devices have their own advantages and disadvantages in thework/play balance, neither being ideal for every task. However, it is no longer necessary to own two separate devices. The alternative is yet another hybrid, commonly referred to as a UMPC (Ultra MobilePersonal Computer). 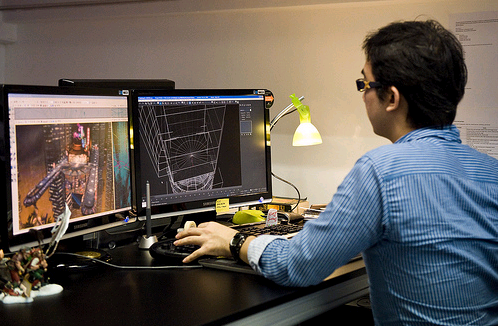 UMPCs are larger than smartphones but are far more compact than other variations of the mobile PC. UMPC screen sizes are generally between 5" and 7" with most weighing a maximum of 1.5 lbs. They are capable of running a full Windows operating system and may be usedin the same way as a cell phone. Almost all are touch screen with some versions also boasting a full pull-out QWERTY keyboard. The UMPC may provide the answer to true portability and is arguably a glimpse at themobile computing technology of the future. The above article is composed and edited by Rosette Summer. She is associated with many technology and designing communities. Strategy games aren’t a type generally related with consoled, but the new Xbox 360 gaming console has had a wide number of exceptional strategy games that are represented by different styles. Real-time, card based, turn-based, and many more are all there on the present-day Xbox 360. Here’s a list of 5 best Xbox 360 strategy war games that you can enjoy very much. Halo Wars is one of the greatly polished, well designed instantaneous strategy games, which symbolizes the brand well, and it is a new grand exclusive for the Xbox-360. It is not the genuine real-time strategy game on the system, but with the help of its much simplified complete game-play, and joysticks, it signifies that it is one of the most easily accessible games. All Xbox enthusiasts just love to play this game in their free time, and it can even attract many newbie’s. On the whole, it is one of the most recommended Xbox 360 strategy games. Civilization Revolution has been designed based on the award winning formula of the PC-series, but it has come with small tweaks and nudges so as to work little finer on consoles. The end-result is a new game, which is not as deep as before, but still it provides ample amount of astonishingly addictive civilization construction game-play to maintain both series vets and also keep newcomers quite busy for a long time. With 3-moderately good RTS games already existing under its strap for the Xbox-360, the well-known EA LA has the type pinned down on the consoles. Its newest game, Command & Conquer- Red Alert-3 fine tunes the already delicately tuned game-play to almost to near excellence, and combined it with unique and great fun sections to develop a remarkably well-designed RTS game. Star Trek Legacy is really any trek enthusiast’s dream-come-true genre of game. You are supposed to direct the enterprise from many different eras as well as various ships from not merely the federation, but also the Romulans, Borg, and Klingons. It provides a correct balance of arcade and sim game-play, which makes it slightly easier to glide into the captain’s chair compared to Starfleet Command Series. Culdcept Saga is a kind of strategy war game that would certainly surprise you. This is extremely addictive and very gratifying. It provides true fun, and it is definitely worth checking out once. Thus, these are the 5 best Xbox 360 strategy games for 2011 that you cannot afford to miss it out. Let us know your feedback through comments section.